Devotionals that will breathe new life into your family devotion time, addressing issues like patience, pride, avoiding evil and much more. - Publisher Twelve activity-based devotionals for the family. 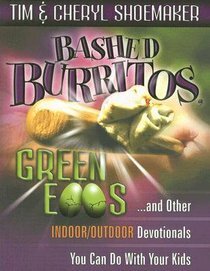 About "Bashed Burritos, Green Eggs"
Twelve activity-based devotionals for the family.